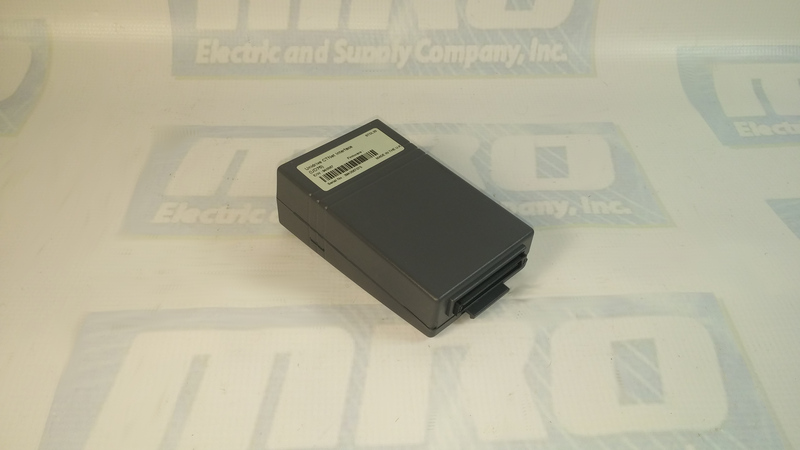 Generally, Fanuc AC servo motors, like the A06B-6058-H005, have no parts that wear off or that must be replaced periodically, unlike DC servo motors, which have brushes that must be replaced. However, you should perform period maintenance for servo motors so as to keep their initial performance as long as possible and to prevent breakdowns. AC servo motors have precision sensors — their incorrect use or damage caused during transportation or assembling can result in breakdowns or accidents. It is recommended that you inspect servo motors periodically, and of course we offer a 12 month warranty on all Fanuc products purchased from MRO Electric. When you receive a A06B-6058-H005 module from MRO Electric, make sure that the motor is exactly the one you ordered, in terms of model, shaft, and sensor specifications, and make sure that no damage has been caused on the motor. Servo motors should be kept indoors as a rule. The storage temperature range is -20 to +60 Celsius. Do not place or install AC servo motors in a place where it is extremely humid and dew is prone to form, where there are steep changes in temperature, where there is constant vibration, or there is lots of dust and trash. Constant vibration may cause damage to the shaft bearings. Before starting operation, or periodically (once a week or month), you should inspect the AC servo motors for vibration and noise, outside damage, stains and smudges, overheating. Check the motor for abnormal vibration by hand, and noise by ear when the motor is not rotating, rotating at low speed, and accelerating and decelerating. Check the Pulsecoding cover (read plastic) for crevices and the motor surface (black coating) for scratches and cracks. If you find a crevice on the Pulsecoder cover, you should replace it. If there is a scratch or a crack on the motor surface, the user should repair it by himself as required. If coating has come off, dry the portion of interest or the entire surface and coat it with paint for machines such as urethane paint. Check the motor surface and bolt holes for oil or cutting fluid. Wipe off oil and cutting fluid on the surface periodically. Oil or cutting fluid can damage the coating by chemical reaction, possibly leading to failure. Also check how such liquid leaks onto the motor, and repair if needed. Check to see if the motor is too hot during normal operation. Attach a thermolabel on the motor surface and check it visually to see if the motor becomes too hot during normal operation. Visit our Micromaster Product Page to Get an Instant Quote. Troubleshooting with the SDP Table 4-1 explains the meaning of the various states of the LEDs on the SDP. Warnings and faults are displayed on the BOP with Axxx and Fxxx respectively. The individual messages are shown in the Parameter list. Check that P0010 = 0. ¾ Check that a valid ON signal is present. Check that P0700 = 2 (for digital input control) or P0700 = 1 (for BOP control). Check that the setpoint is present (0 to 10V on Terminal 3) or the setpoint has been entered into the correct parameter, depending upon the setpoint source (P1000). 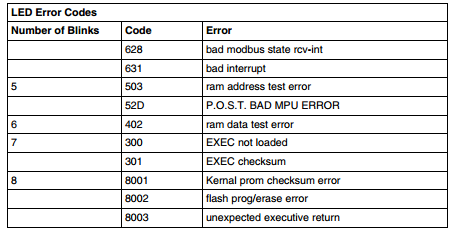 See the Parameter List for further details. If the motor fails to run after changing the parameters, set P0010 = 30 then P0970 = 1 and press P to reset the inverter to the factory default parameter values. Now use a switch between terminals 5 and 8 on the control board. The drive should now run to the defined setpoint by analogue input. Cycle the power to the drive. Press the Fn button on the BOP or AOP. 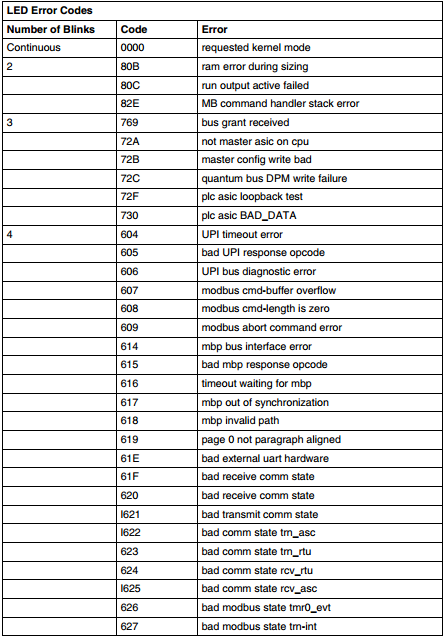 Fault messages are stored in parameter r0947 under their code number (e.g. F0003 = 3). The associated error value is found in parameter r0949. The value 0 is entered if a fault has no error value. It is furthermore possible to read out the point in time that a fault occurred (r0948) and the number of fault messages (P0952) stored in Parameter r0947. Alarm messages are stored in parameter r2110 under their code number (e.g. A0503 = 503) and can be read out from there. Our previous blog post on the 140CPU43412A describes the 140CPU43412A Configuration and Setup. You cannot create a Quantum Hot Standby configuration running one 140CPU53414A PLC with Unity firmware and one with NxT firmware. When using an NxT configuration in hot standby, both PLCs must have NxT firmware. When using a Unity Quantum hot standby configuration, only specific hot standby controllers can be used. The 140CPU43412A and 140CPU53414A PLCs are not supported in Unity Hot Standby configurations. For ordering info or for a 140CPU43412A price quote you can call 1-800-691-8511 or email sales@mroelectric.com. Phase 1 of firmware restoration is described in our previous blog post on the 140CPU43412A firmware. Any loss of communication during the update procedure can cause severe damage to the CPU or NOE module. Failure to follow these instructions can result in injury or equipment damage. Once the download of the intermediate binary file has completed, the PLC has to be initialized. This task can be performed by one of the two following actions:  Reset the PLC by pushing on the Restart button located on the CPU (for more information, refer to the PLC technical documentation).  Power OFF then ON the PLC. Once the PLC has restarted, go to Phase 3: download the final Concept OS. The final binary file “q5rv135E.bin ” (140CPU34312 in our example) has to be downloaded. For that, follow the same procedure as the one described in the Phase 1. Click now to view our blog on the 140CPU43412A Configuration and Setup. The q5rv144e.bin file supports both Concept (IEC & 984) and ProWORX PLCs. In order to restore a 140CPU43412U (Unity) to a 140CPU43412A (Concept), three main phases are required. Phase 3 – Restore the Operating System with the appropriate file. These phases are mandatory and cannot be by-passed. The OS loader (provided with Unity) allows the user to download the Operating System to the PLC. To open it click on Start/Program/SchneiderElectric/Unity-PRO/OS loader. From the main screen of the OS loader, click on the “Next” button. To download the Operating System into the PLC, select the right communication protocol (in accordance with established physical link) and click on the “Next” button. On the Device Type field, select Processor and the other needed parameters (Modbus address….). Then connect to the selected PLC (Node). From the screen described above press the “Next” button. A new screen is proposed: select “Download OS to device”. Click on the “Browse…” button in order to select the file to download into the PLC. In this example we will restore the OS from 140CPU43412U to 140CPU43412A firmware. For that select the following folders: Quantum\Processor_modules\Unity_to_Concept. To restore the OS from Unity to Concept, two binary files can be selected:  Unity_to_Concept_43412A.bin (allows to “format” the processor to Concept)  q5rv135E.bin is the OS that will finally be downloaded in the processor. In our example we have to “format” the processor (remember, we still are in the Phase 1) then select and Validate “Unity_to_Concept_43412A.bin”. Once done click on the “Next” button. Once the previous screen is validated a warning is displayed: Click the “Okay” button. Two screens that give information regarding the file, the processor and the download are now displayed. Note: If the system detects a discrepancy on the hardware or on the OS version, the download will not be possible. This is indicated by a red cross and the “Next” button becomes unavailable. Solve this issue and continue. When the hardware – OS are compatible, click on the “Download” button to launch the download of the intermediate OS file. Click Now for 140CPU43412A Firmware Restoration Phases 2 & 3. You can check out our previous blog post on the 140ACI03000 datasheet, wiring diagram, and manual here for more information. The Modicon 140ACI03000 configuration processor easily plugs into the Quantum backplane. The fiber optic cable connects the two Hot Standby processors to provide a high speed communication path between the two controllers. No additional intermediate supervisor is required. This minimizes hardware and reduces panel space requirements. Simple installation makes the Quantum Hot Standby option processor an easy addition to any control system setup. The new 140ACI03000 scaling configuration provides two methods for system configuration. The Quantum Hot Standby system also delivers the power of user configurable State RAM transfers from the primary to standby controllers. This new option provides all of the power of the function block solution and more. As few as 16 inputs, 16 outputs, one input register, and one output/holding register or as many as 64k, in the Quantum 486 controllers, can be configured for transfer in one or multiple scans. This option provides true separation of system configuration and control programming. Users that are comfortable with the 984/800 series hot standby solution can opt for the single function block. This option provides all of the programming necessary to perform the hot standby function. By simply entering and energizing the function block in each controller, the default settings will affect a secure and reliable control system. Should the user select to implement some optional hot standby functionality, all user options are triggered by inputs or register bits in the function block. Using Modsoft 2.3 DX Zoom capability all register bit functions are described in easy to understand terms that eliminate guess work. Options include remote control of the standby system, remote status information, reverse and non-transfer of key register data and control of Modbus port addresses. To order you can email sales@mroelectric.com or call 1-800-691-8511. You can check out our previous blog post on the UD75 here for more information. Check out the UD75 product page on our website along with all of our other Unidrive options. Isolate the drive from the mains supply and allow 5 minutes for the DC Bus capacitors to discharge. Insert Large Option Module as shown below. Ensure that it is correctly inserted. The module will click firmly into place. To remove the module, pull on the black tab, and the module will disengage from the connector and pull out of the drive. The screen of the cable at every node on the network MUST be connected to the screen terminal (pin 3) on the CTNet terminal block. When the screen is stripped back to connect the twisted pair to the CTNet terminals, keep the exposed section of the cable as short as possible. On the CTNet PC Interface Adapter Card, there is no screen terminal. The screen should be cut and taped back to prevent it coming into contact with any other surfaces. The on-board terminal resistor should not be connected. The network MUST be fitted with terminating resistors AT BOTH ENDS!!! If resistors are not fitted, the network appear to work OK, but the noise immunity of the network will be drastically reduced. The terminating resistor value should match the nominal characteristic impedance value for the cable; in the case of the customized CTNet cable, the terminating resistors used should be nominally 78Ω. PC ISA and PCMCIA cards for interfacing a PC to CTNet are available from CT SSPD. For price and ordering info you can email sales@mroelectric.com or call 1-800-691-8511. 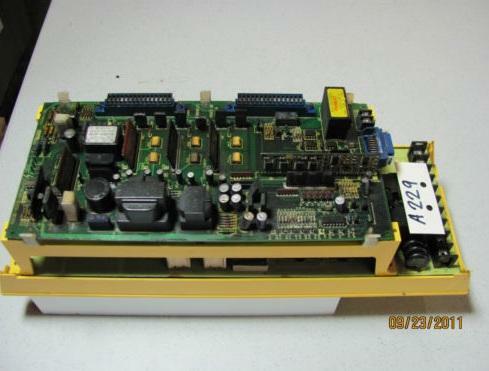 We have these and all the other Unidrive Classic option modules in stock, along with the drives themselves. You can check out our previous blog post on the 6FC5357-0BB35-0AA0 here for more information. 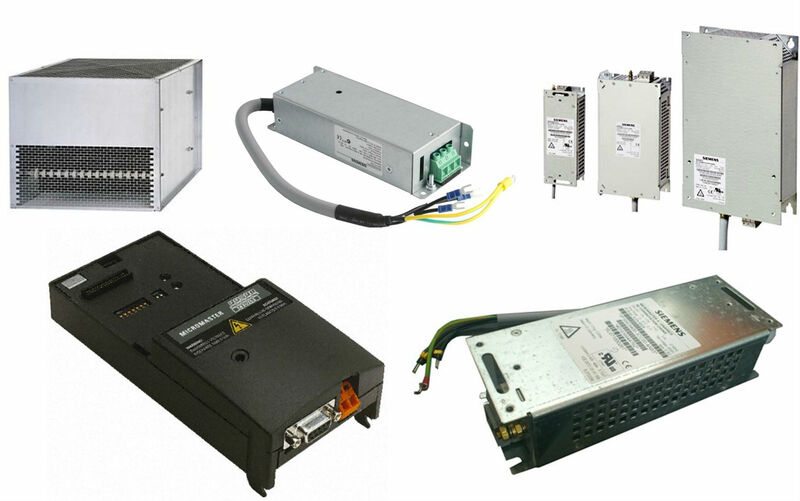 Check out our websites to see all of our Siemens products. The 6FC5357-0BB35-0AA0 configuration features a modular design comprising line filter, commutating reactor, line supply infeed module, drive modules as well as, when required: monitoring, pulsed resistor and capacitor module(s). Satisfactory operation is ensured only in conjunction with the components that are described in the 6FC5357-0BB35-0AA0 Configuration Manual or published in the Catalog NC60 (Internet Mall) and with adherence to the required boundary/application conditions. Modules can also be arranged in several tiers one above the other or next to one another. The housings of the 6FC5357-0BB35-0AA0 converter system modules are enclosed and EMC–compatible as specified in EN 60529 (IEC 60529). The electrical system is designed to comply with EN 50178 (VDE 0160) and EN 60204, and an EC declaration of conformity is available. The connections in the module group, motor cables, encoder lines and bus lines must be made using preassembled MOTION–CONNECT lines. Due to the limited conductivity of the DC link busbars of the modules with module width 150 mm, the DC link power PZK of these modules must not exceed 55 kW. Larger DC link busbars must be used if this restriction cannot be complied with. The DC link power PZK of the subsequent modules is calculated according to the engineering rule specified in the manual. The larger DC link busbars can be ordered as a set. The set includes reinforced DC link busbars for module widths 50 mm, 100 mm and 150 mm. The standard DC link brackets between the modules may not be changed, even when strengthened DC link busbars are used. To order or get price you can email sales@mroelectric.com or call 1-800-691-8511. 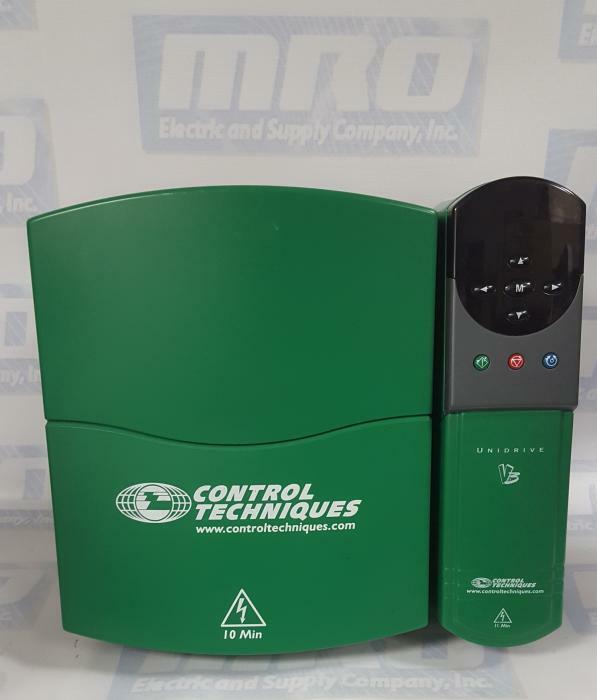 You can check out our previous blog post on the Control Techniques UNI3405 manual here for more information. Since capacitance in the motor cable causes loading on the output of the UNI3405 Drive, ensure the cable length does not exceed 660 ft. (400 volts) or 410 ft. (480 volts). Cable lengths in excess of the specified values may be used in the UNI3405 configuration only when special techniques are adopted; refer to the supplier of the Drive. PWM switching frequency exceeding 3kHz in model sizes 3 and 4 — The maximum cable length is reduced in proportion to the increase in PWM switching frequency, eg. at 9kHz, the maximum length is 1/3 of that shown. High-capacitance cables – Most cables have an insulating jacket between the cores and the armour or shield; these cables have a low capacitance and are recommended. Cables that do not have an insulating jacket tend to have high capacitance; if a cable of this type is used, the maximum cable length is half that quoted in the table. If the first threshold is reached, the PWM switching frequency is halved in order to reduce dissipation in the IGBTs. (When the frequency is halved, the value of parameter 0.41 PWM switching frequency remains at the value set by the user; if the frequency is 3kHz or 4.5kHz, no halving occurs). Then at one second intervals, the Drive will attempt to restore the original PWM switching frequency. This will be successful if the estimated temperature has reduced sufficiently. If the estimated temperature has continued to rise and reaches a second threshold, the Drive will trip. The display will indicate Oh1. You can get price and availability by emailing sales@mroelectric.com or calling 1-800-691-8511. You can check out our previous blog post on the 140NOE77101 manual and datasheet here for more information. 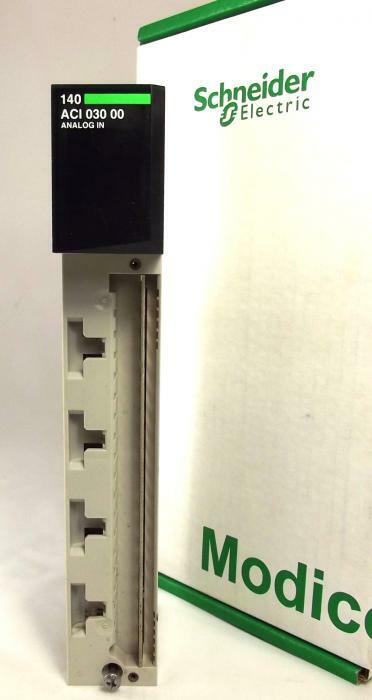 All of our Schneider Electric/Modicon products are available on our website. 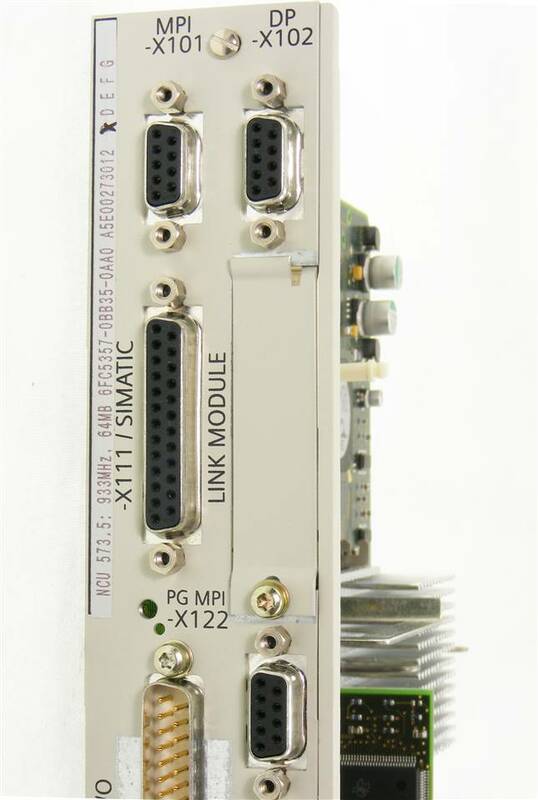 As shipped from the factory, the 140NOE77101 configuration does not contain an IP address. This is also true if you have not programmed the unit with an Ethernet configuration extension. In this condition, when the module starts up, it will attempt to obtain an IP address from the network’s BOOTP server. You can use Concept to assign an IP address, default gateway and sub network mask. See Configuring the Ethernet Address Parameters in Chapter 4. You can also assign IP address parameters using the BOOTP Lite software utility. A BOOTP server is a program which manages the IP addresses assigned to devices on the network. Your system administrator can confirm whether a BOOTP server exists on your network and can help you use the server to maintain the adapter’s IP address. On startup, an unconfigured 140NOE77101 module will attempt to obtain an IP address by issuing BOOTP requests. When a response from a BOOTP server is obtained, that IP address will be used. If there is no BOOTP response received in two minutes, the module will use the default IP Address. Consult your system administrator to obtain a valid IP address and appropriate gateway and subnet mask, if required. To place an order or get a 140NOE77101 price please email sales@mroelectric.com or call 1-800-691-8511.